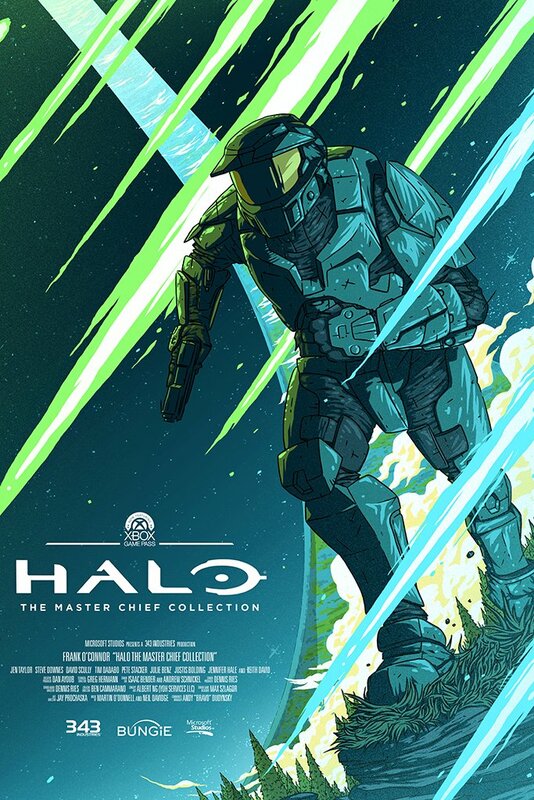 Recently our friends on the Xbox side of things showed off some amazing new MCC-inspired art commissioned by Florey, Chris Thornley, and Ollie Hoff, all helping showcase the Xbox Game Pass-headlining title. They are pretty darn stunning, and we wanted to make sure you didn't miss the chance to bask in their gorgeous glory. The HCS Finals 2018 at Dreamhack Atlanta are right around the corner. The promise of both Halo 5’s last major esports event as well as an incredible old-school experience with the H3 2v2 Showdown has us ridiculously excited to say the least. It all goes down next week(! ), Nov 16-18 at the World Congress Center in Georgia, and we’ll be there to bring you all the action from mixer.com/Halo. In preparation, top Halo teams made their final moves for qualifying position at the most recent online 2k event, held alongside the official HCS Finals 2018 Draw Show, which decided where teams would go and who they’ll be clashing with in the main event’s Group Stage come next week. Both the online 2k finals and the Draw Show itself were broadcast live, and if you for some reason felt like you didn’t really have a reason to go back and watch it yourself, let the following tweet be forever burned into your mind to remind you just how wrong you might be. You can follow all the latest details and frequently-asked questions for next week’s big event at halo.gg/HCSFinals2018. And of course, as always, for all the latest news and notes on the Halo Championship Series, keep your web browsers locked to Halo.gg and follow @HCS on Twitter. Plus, check out the awesome community-curated Halo Data Hive for updated player stats and match results. And speaking of awesome showdowns – in particular Halo 3 related – last week the delightful denizens at our Microsoft mothership held their annual internal Xbox Give Gaming Tournament. 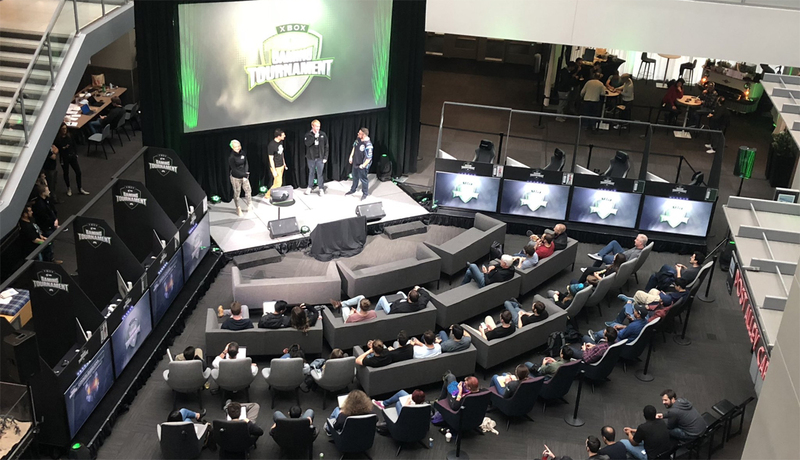 Similar to how we detailed last year, the tournament lets fierce competitors from all across the enormously large MS employee range compete and qualify to face off in some pretty epic final showdowns live at the Xbox HQ in Redmond across titles from Halo, Forza, and Gears of War. There’s pride and prizes on the line, but more importantly it was all done to support some incredible causes like Gamers Outreach, Footprints of Fight, New Horizons, and the Washington Autism and Action Alliance. 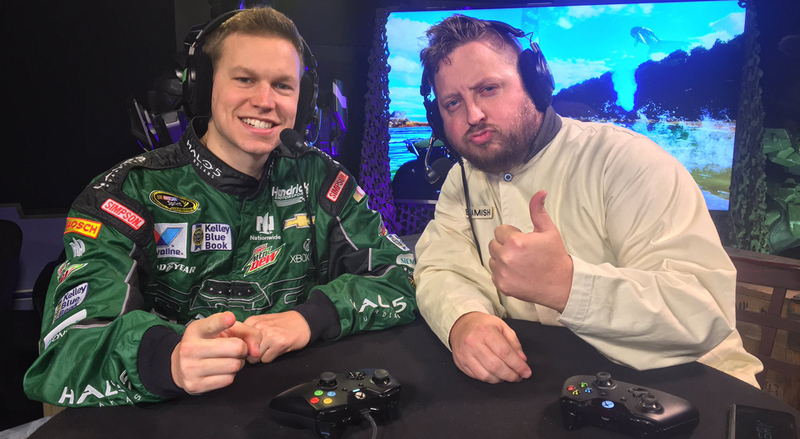 Yours truly had the delightful opportunity to cast the finals for both the Forza Motorsport 7 tournament alongside Turn 10’s Brian Ekberg, as well as the event’s final climactic showdown – a Halo 3 FFA tournament played on Halo: The Master Chief Collection – with my main man Unyshek. Much fun was had, and many incredible moments witnessed, including an epic 1v1 grand final on Guardian that saw well-known competitive Halo player Connor “Dudeman27” Quagliana (yep, that very same Dudeman) dial up some inspired performances in the opening rounds but fall just short of the ultimate goal, losing to Simon “Quadryl MD” Schlegel just one year after also finishing in the penultimate position to our very own Andy “Bravo” Dudynsky in the 2017 edition. Uny dressed up as 2017 me, and I dressed up as 2012 Frank. 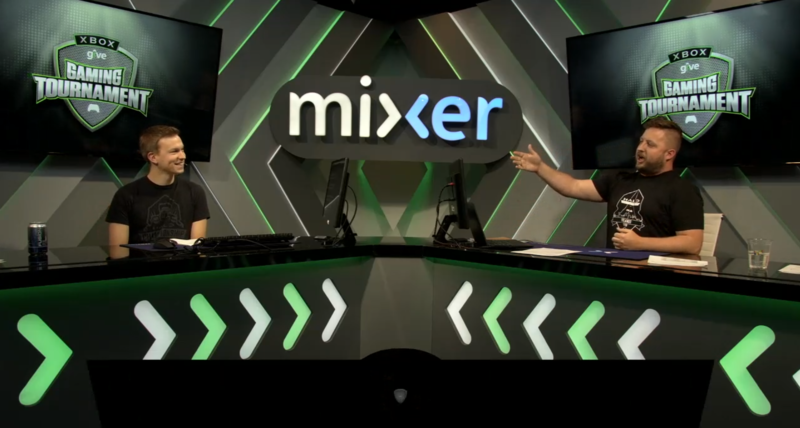 The 343 Social Stream is your stop to hang out with fellow Halo fans and studio peeps alike, getting to know both just a little bit better each week through legends and laughter, gameplay and good times. Last week your humble penman took his final turn in the hosting chair, capping things off exactly as they started – heading once more unto the breach with Uny as we provided viewers with an epic Haloween follow-up to last year’s Infection exploits. As an added bonus, our very own ske7ch jumped in the producer seat to fill in for #TeamLiz, giving us a Trick-or-Treating triumphant triumvirate of Community Team squad goals. From costumes to candy to copyright concerns, it was a fun-filled feast of friendly fire you won’t want to miss. Watch it all again right here. And a special thank you to all the regular visitors – both on-screen and in-chat – you’ve made each and every instance a memorable blast. 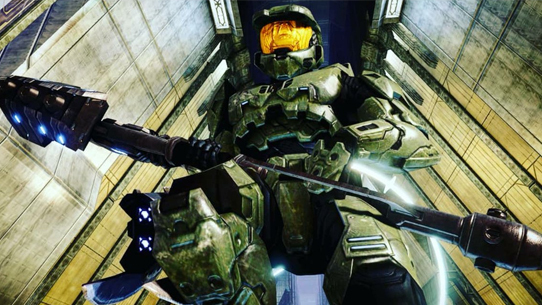 On yesterday’s episodeUnyshek pressed A to swap seats and welcome new 343er and HCS team member Lalo “Muggsy” Torres onto the show as its latest guest to play some MCC and wax poetic about his journey from humble Halo montage editor to esports Social Media & Content Producer. As always, the 343 Social Stream takes place each Wednesday from 1:30 – 3pm PT on mixer.com/Halo, so come join in and chat with us! Earlier today, Core Play rolled back into the matchmaking rotation for a limited time, bringing with it some awesome Team Arena action to the Halo 5 Social experience. Core Play will join Castle Wars and Big Team Super Fiesta in the current featured spots. In addition to new featured rotational playlists, 343’s Josh Menke dropped some news on some other matchmaking changes coming down the pipe, specifically regarding the future of stuff like Big Team Battle and Warzone Assault. If those particular flavors are the focus of your labors, make sure you give it a read in the Waypoint forums. And speaking of Warzone, the Warzone XP Boost REQ Pack is now available in the in-game REQ Store, letting you turn your unused REQ points into inflated experience! Added a path to the right side of the Castle. This allows humans to enter the Castle a third way and keeps Humans from camping on that right side of the Castle. Removed Saw from the first phase. Lowered Saw ammo in the second and third phases. Removed Saw and Rocket Pod from the final phase (Inside the boat). Added teleporters for the Zombie’s spawn room in the second phase – this allows Zombies to attack in a less predictable manner. Added cover to the edges of the map so Zombies could approach camping Humans more easily. Reduced the number of Warthogs on the map from four to two. The team also plans on updating the Infection gametypes for our next update to have a more consistent experience across the board. If you haven’t tried out the ghoulish new goodness, jump into Halo 5 and check it out! Earlier this week I caught up with the ever-elusive Tyler “Postums” Davis, the Community Team’s own special forces commando, and grabbed details on some upcoming MCC goodness. October has somehow already come and gone and the talented titans over on the 343 Publishing Team is still hard at work on future features, bug fixes, and our next substantial update to Halo: The Master Chief Collection – this particular update you’ll note in a previous blog was slated for the end of October, but as we got closer to our initial release date the team was wanting to iron out a few specific pieces so that they arrived on your hard drives without those annoying wrinkles. Also, with the Halo 3 2v2 Showdown at the HCS Finals 2018 coming up, the team made the decision to push changes out just a little bit further to not impact the players or the event. This next update will include changes to social matchmaking, ranked matchmaking, additional controller customization options, player choices to show legacy colors of enemies in Halo: Combat Evolved and Halo 2 Classic multiplayer, the addition of being able to display a timer in Halo: Combat Evolved, and multiple bug fixes. Full details of what is coming in this patch will be discussed in the coming weeks! One key change that the team want to get in front of you fine folks for feedback is the planned playlist changes for Ranked competitive playlists. Ranked play will consist of the following playlists once the update goes live. We’ll be sharing more details about all features and changes planned in this next update in the coming weeks, including a full blog post that details the upcoming changes – stay tuned! One more note on the MCC front: this weekend we'll be flighting the upcoming update and giving everyone an opportunity to acquire the MCC Insider nameplate if you volunteer time for each session on Saturday and Sunday. This is will give the community one final chance to offer feedback and we'd love to hear what you have to say about the new features being tested! Who can access the Halo: MCC Insider build? Anyone who digitally owns Halo: The Master Chief Collection and those who were previous members of the MCC Insider Program will have access to the build which is planned to be updated on Friday, November 9. How do you acquire the Halo: MCC Insider build? If you do not see “Halo: MCC Insider” available in Ready to Install/My Games & Apps, navigate to the store and search for “Halo: MCC Insider” and select Install once it appears. This MCC Insider build will reflect the next update but will offer multiplayer only content as this update focuses heavily on that area of the game. The content of this Insider build will make it’s way to the full version of MCC in the coming weeks after the HCS Finals 2018 at DreamHack Atlanta. The build’s main areas of focus for feedback are the final match composer options, the all-new controller customization settings, the additional options to toggle name colors for HCE & HC2, toggles for timers in HCE multiplayer, and the inclusion of US West dedicated servers for starters. We are making many of the changes to MCC based on the feedback from members of the community. 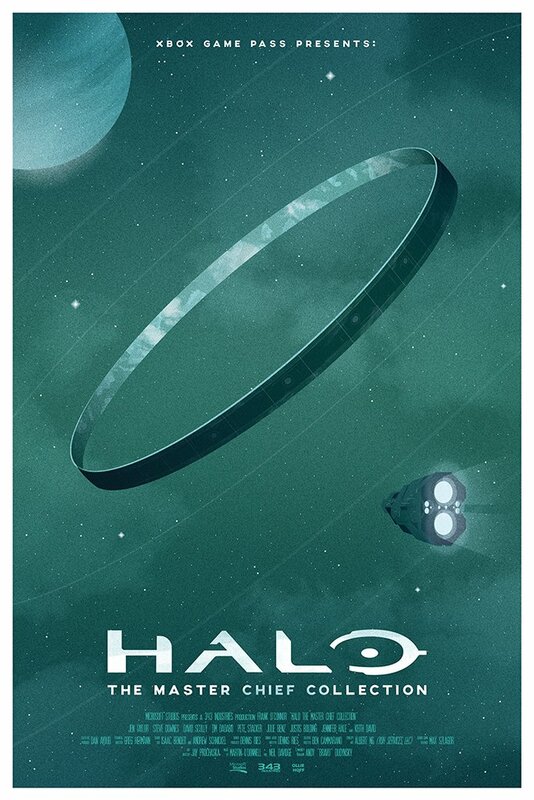 Please take some time to stop on by Halo Waypoint and tells us what you think. The official feedback thread for these features is located here. See you all online this weekend! The second season of the community-curated Halo Wars Champions League has come to an end with one of the most intense and grueling Halo Wars 2 tournaments ever. The HWCL Season 2 Invitational showcased seemingly countless hours of the most competitive matches you’ll see in the scene, with participants leaving it all out on the battlefield. When all was said and done, let’s see who was left standing above all the rest. A huge congratulations to Almirante99 for taking it all and a round of applause to RockGENERATION and Scootman2 for some fantastic matches to watch. As we’ve mentioned before, the Top 3 players from the tournament will receive Halo Wars themed loot boxes provided by 343 in the coming weeks. In addition, one of the prizes for winning the Invitational, includes the opportunity for the winner to offer up a proposed balance change that we will look at integrating into a future patch. 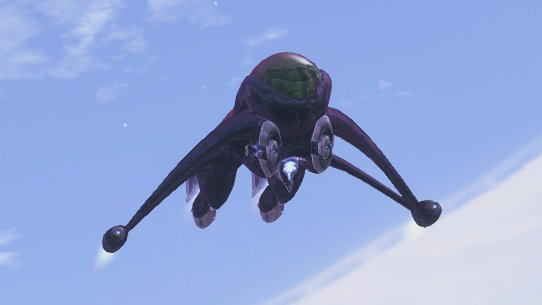 Alimirante99’s suggestion has been so far well accepted and in a future update we will be revisiting Arbiter Ripa ‘Moramee and looking at ways to improve this Leader. Specifically, the team is looking to begin by focusing on the early tiers of his hero unit and his passive leader power, Conduit of Rage. We want to give a huge shout-out to the communities of Breaking the Clutch, Team Respawn, and The Banished for putting on such an amazing series of tournaments that have spanned several months. It’s always a blast to watch groups have come together to make something like this happen. We can’t wait to see what the community does for Season 3! Before we go, be sure to check out our latest Halo Community Spotlight from last week. As always, it contains another delectable display of killer community-created content, in an eclectic menagerie of mediums. Go check it out! Except, not the bad kind of grim. As some of you might already know, this will be my last regularly-authored Halo Community Update. Don’t fret, though! Not only will you now be spared so much excessive alliteration and my particular peculiar penchant for potent punnery, but I’m also not going far – simply downstairs, in fact. 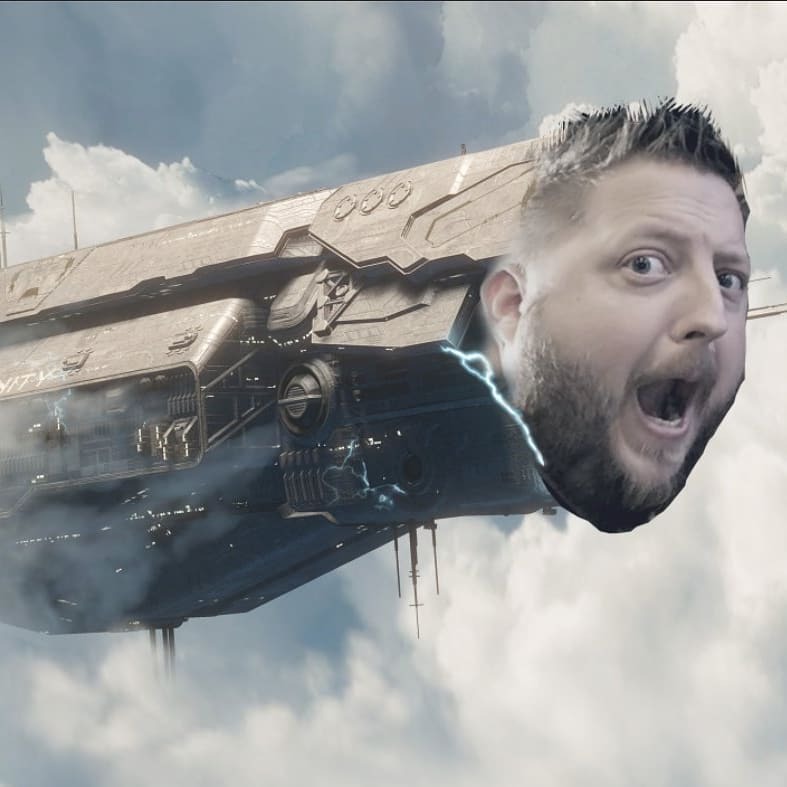 Recently an opportunity came up that will see me move from the Community Team over to the Franchise Team full time, focusing more directly on lore literacy, canon creation and curation, and overall helping to expand the Halo universe into directions both familiar and un-so. I’m stoked to be joining an already-incredible team of talented and creative folks but admittedly a little bummed to be moving further away from my beloved Community cohort upstairs. Seriously, ske7ch, Uny, Nina, and Postums are the class of the field. These heroes proudly and boldly represent the incredibly passionate and diverse Halo community and fanbase with the utmost respect and unbridlied enthusiasm. You legit don’t know quite how lucky we all are to have them as representation, both internally facing and outwardly so. And you’ll continue to see ever-more awesome content produced to bring the Halo community to life and to light, from streams and spotlights to updates and more. As for yours truly, don’t think you’ll be getting rid of me too easily. I’m excited to be able to still bring you curiosity-creating Canon Fodder features from time to time (hopefully a bit more often than has been lately), and maybe even find a few new ways to share, explore, and expand the Halo universe with fans both new and old. Looking back over the past few years, since jumping in to help answer community queries in the then-titled Halo Bulletin blog, I’ve penned over a hundred Community Updates, Spotlights, esports articles, and consumer product features. That’s not even counting the 100+ Canon Fodder issues and omg-I’ve-lost-count number of encyclopedia entries in our Universe section. When I think back on my time as a rabid Halo fan myself, I recall countless moments of eager anticipation, F5-ing official channels to read meaty morsels from folks like Luke Smith, Urk, Frankie, KP, ske7ch, bs angel, Bravo, and more. They were my heralds of Halo, my curiosity conduits, my detail deliverers. And now, to know that I might have in some small ways (that’s not even a height joke) been able to play a similar role for folks in the current community, well, it’s infinitely humbling to say the very least. It’s a list I’m proud to be added to and has been an honor and a privilege beyond measure I can undoubtedly assure you. Be kind. No, seriously. Like, the world has enough shenanigans going on already – imaginary havens like Halo should be bastions of benevolence, not places to further exacerbate differing opinions. You prefer the since-past days of no-sprint? Cool. You’d rather click the stick to run? That’s fine, too. You have a particular pining for specific variations of Mjolnir, mandibles, or multiplayer mayhem? All are welcome to enjoy, share, and experience. Halo is awesome because it continues to be so many things to so many people, and you’ll be able to enjoy it to the fullest when dropping a bit of the hyperbole. Your edgy tweets are adorable, but the ones that actually make the real difference are the ones that unite rather than divide. Menke is smarter than you. You just kinda have to get over it. It’ll be okay. Critiques are awesome and valuable. Contrary to chapter four in Shilling and You: A Guide to Online Influence, you don’t have to like everything. In fact, like pruning a plant, the healthiest course of action is to be smart about what you keep and what you leave behind – and do so using all the information available you can. The key is however, you just have to learn how to do it the right way. Lots of folks have great points that get lost in please-listen-to-me-cause-I’ve-got-all-the-answers rants that really just encourage potential viewers to close the browser after a few minutes and get some fresh air. Don’t schedule tweets. It will only end in sadness. And getting made fun of. Highlight and encourage each other. One of my favorite things to see the community do is bring to light other awesome things that fellow fans are doing. From tagging an unaware content creator with #HaloSpotlight to help them get recognized, to jumping in on forum threads to say “hey great work! This is cool!” to pointing folks in the right direction for insight and information, it warms the heart to see such edification, does everyone a world of good on both sides of the proverbial fence. Assume the best. Whether it’s thinking about the decisions of a studio or the opinions of another community member, the process goes a lot better if you assume the best of intentions from the other party. They are almost always less diabolical than you think. Try and go to an in-person event. Whether it’s a top-tier HCS event, a local tournament, a PAX or RTX, just get out to one. Heck, throw your own! There’s absolutely nothing like putting a friendly face to a Twitter handle or Gamertag, and it will often change your interactions online for the better. Plus, you’ll make some pretty incredible friends that last far beyond the life of a game or console generation. Be kind. Yeah I know, I said it already. But it’s still the most important one. And with that, we close this particular interactive chapter. 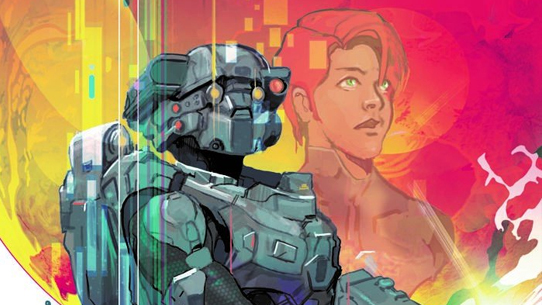 Although I will say, I’m already a little jealous of whoever gets to write these things when the Halo Infinite hype train goes full chugga-chug. I might have to jump in for one just for old time’s sake eventually. If they let me. We’ll see. 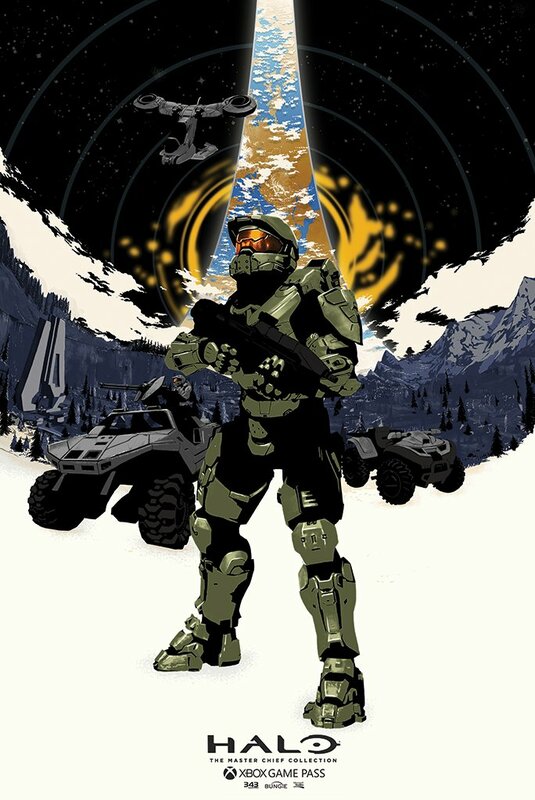 One last time… Live well, play Halo, party up, and be excellent to each other.